Pioneers in the industry, we offer event counter, line speed indicator, rpm indicator, preset counter, production counter 6 digits and preset counter 6 digits from India. Owing to the efforts of our skilled professionals, we have been constantly engaged in manufacturing and supplying superior quality Line Speed Indicator. Our provided indicator is developed by highly skilled professionals using finest grade raw material & latest technology keeping in sync with the norms of industry. Offered indicator is stringently tested on various parameters in order to deliver defect free range. We offer this indicator in various technical specifications and can be custom design in order to meet the diverse requirements of the customers. We are supported with a rich industry experience and knowledge that assist us in manufacturing and supplying an exclusive range of Duel Display Counters. The offered display counter is manufactured utilizing high grade raw material and advance technology in accordance with the norms of industry. 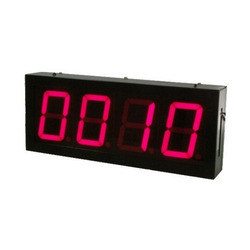 In addition, our display counter is tested on diverse parameters in order to ensure its flawlessness. Counting of the both the counter will be incremented similarly. We are actively engaged in manufacturing and supplying superior quality Speed Switch. This speed switch is designed and developed by our dexterous professionals so as to provide protection to belts in case of slippage. 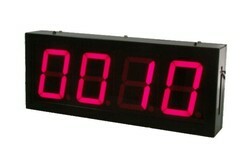 It is hanging type counter and user can see the count from long distance. Our valuable customers can avail this speed switch in bulk quantity at competitive rates from us. Our rich industry experience enables us to manufacture and supply impeccable quality Both Side Display Counters. This display counter is manufactured by our experienced professionals by utilizing high grade raw material and sophisticated technology. 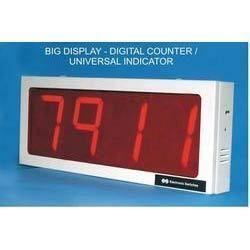 Offered display counter is accessible in numerous specifications so as to meet the demands of customers. 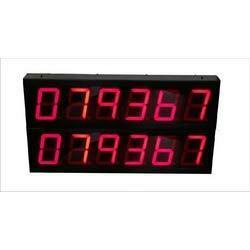 Besides, this display counter is stringently tested on various quality parameters to ensure its defect free range.